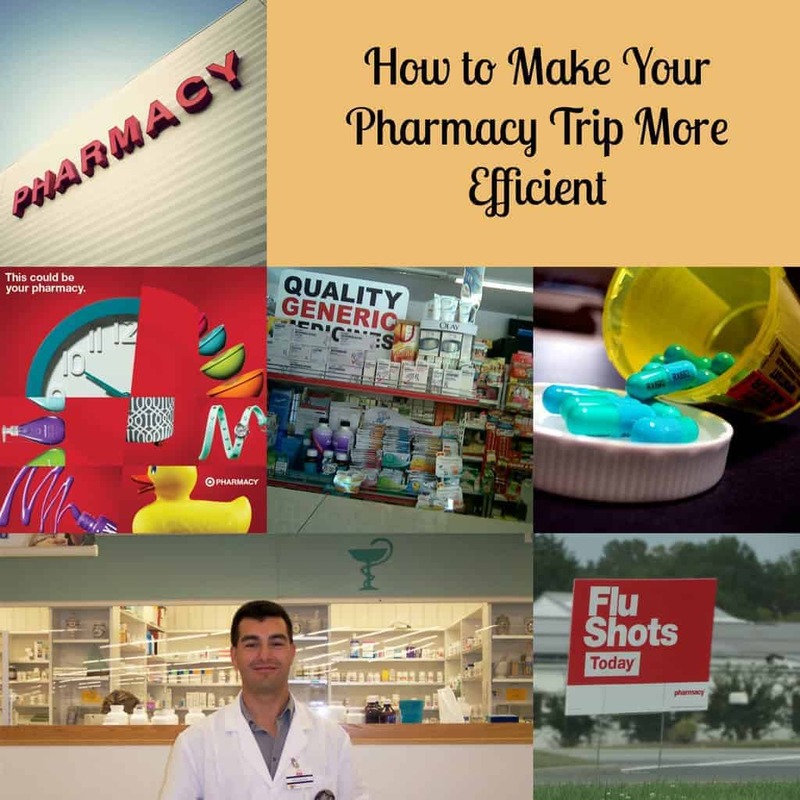 This post about how to make your pharmacy trip more efficient has been sponsored by Target and Social Chorus but all opinions expressed here are my own. Content and/or other value provided by our partner, Target. As a pharmacy technician, I am very familiar with the running of a pharmacy. I know which medications people take for what health problems, where the vitamin isle is located and that the pharmacist is a great source of knowledge if you have a health question. I also see people come into the pharmacy on a regular basis who have to spend WAY more time there than they may have had to with a bit of advanced planning. We have busy lives and increased efficiency will help hurry us on our way to our next appointment. Here are just a few ways that you can make your pharmacy trip more efficient! 1. Know the names of your medications: You would not believe the number of people who come into my pharmacy and ask for a refill on “that oval shaped white pill” that they take for some health issue they can’t remember. Know the name of the medicine and what you take it for to alleviate confusion and make your pharmacy trip more efficient! 2. Keep an eye on your refills. This is incredibly easy since prescription bottles will tell you right on them that you have one, two or ZERO refills remaining. If there are no refills you will have to come back some other day for your medication after the doctor has been contacted. 3. Keep a list of medications handy: This will help your pharmacy staff make sure you are picking up everything you need. If you take multiple medications and one is left out of the order you will have to make a separate trip to pick it up. 4. Consider a courtesy refill program: We are often so busy that we forget that it is even time to refill our medicines. Putting your medicines on courtesy refill will allow the pharmacy to handle that for you and just call you when your prescription is ready to pick up. 5. Pick up other things you might need when you are at the pharmacy. Most pharmacies stock a whole assortment of health and beauty aids, groceries, and household items. Don’t make a separate trip to the grocery store if you don’t have to. Even better, if you choose to visit your local Target Pharmacy, you will have a HUGE store full of supplies that will make your pharmacy tip more productive. Instead of just going to pick up your medicine you can also grab that birthday gift you need for your daughter’s best friend and a card for your grandmother on Mother’s Day! 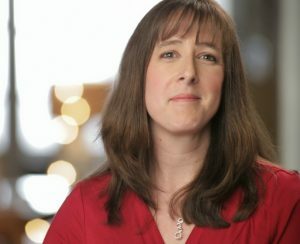 Using the Target Pharmacy can make for a much better pharmacy experience. If you are currently using a different pharmacy, Target offers an easy transfer program that you can use in-store, online or on your mobile device. In addition to that easy transfer, you can sign up for the Target Pharmacy Rewards program. There are no points to count or track and after only 5 prescription fills (yes, vaccinations count too!) your will receive 5% off a whole day of shopping (in-store and online). Their list of $4 generics may make many brand-name equivalent prescriptions a lot cheaper than you are currently paying and you can even get some of your pet’s prescriptions there are well. Just drop off your prescription and sign up for text alerts to let you know when it is ready. You can save yourself some time by doing your shopping while you wait for your prescription to be filled. Great way to make your pharmacy trip more efficient! Target Pharmacy is ranked “Highest in customer satisfaction among mass merchandiser pharmacies by J.D. Power.” so you know you will have a great experience! 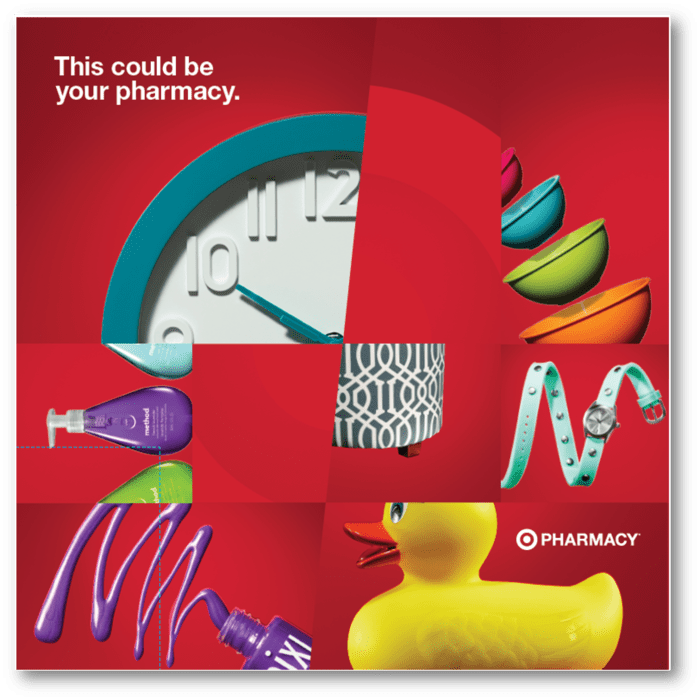 If you want to check out the Target Pharmacy and make your next pharmacy trip more efficient just head over to the Flip the Script website and transfer your prescription to Target! I know that 5% off a whole day of shopping will save me some serious amount of money! I can’t seem to go to Target without realizing how many things I am actually out of at home! Do you have any other tips for making your pharmacy trip more efficient? Enter to win a $50 Target e gift card for a big savings on your next trip to Target! This is a Giveaway Tools contest so follow the directions in the form to enter! Keeping an eye on your refills is so important! I try to stay on top of that. I shop for kids' clothes at Target. Great tips. I love that I can log onto my pharmacy account to see which meds each of my kids are on. It is great to have on hand. Seriously, I shop at Target for everything, but if I have to choose one thing, it would be kids clothing. I usually shop for end of year clearance items that are reduced 50% off. I just bought a electric room heater that was 50% off! I also use my food coupons to get great deals on Frozen food another food items. I was just at Target today! My Hubz needed an external hard drive and, while I was there, I picked up a DVD and some grocery odds and ends. Oh geesh! What don't I shop for at Target - that list might actually be shorter! I love to get groceries, cleaning products, clothes, shoes, medicine, dog/cat food, birthday gifts, books, toiletries at Target. I try to shop the sales at Target, but usually end up in the clothes or home department! I like to buy clothing and cosmetics from Target. I usually shop for coffee, snacks, household items and clothing at Target. I mostly shop for beauty products! I seriously buy EVERYTHING at Target! Thanks for the chance! I shop groceries, clothes and home decor at Target. I buy groceries and pet food at Target as well as clothes. I usually shop for toys and shoes at Target. I usually shop for my grandson's clothing at Target. I have a list of what I am looking for. When I enter the store, I always pick up an ad and look it over. If I find any necessary items (for the future) in the ad, I shop that item. I shop clearance items too. If I have a pharmacy pickup, I call the pharmacy BEFORE I shop and find out when their lightest customer hours are. I like to shop for and buy all of my groceries at target every single week. I mainly shop for clothes. I shop for clothing and school supplies at Target. Clothes, pet supplies, purses, Yankee Candles and groceries. We usually get k-cups at target! I buy clothes and groceries at Target. I like to look for clothing at Target. I usually buy cat food at Target. Clothing, cleaning supplies, toys and sometimes food. I usually get groceries at Target. I like to buy pants and button down shirts from Target. Hope to win! Target has great home decor. I usually shop for makeup or prescriptions. I shop for household products mostly and occasionally will grab my kids some cute outfits. I shop for clothes the most at target. Great prices, so nearly everything. I buy make up at Target. I usually shop for groceries at Target. I love the home decor and kids clothes at target. Usually K-cups and other groceries. I shop for some groceries and household goods at Target. I usually shop at Target for home decor items, and jewelry. I usually get their frozen turkey breasts when they are on sale. I like their girl's clothes and sandals. My daughter doesn't mind wearing them because it's what everyone else is wearing. thank you! i shop for groceries, housewares and clothing. better question would be what don't i shop for at target? I usually shop for towels and sheets, and sometimes kids clothes. I usually shop for home decor at target. Home decor, diapers, clothes, the list goes on. Target is my fave! Groceries re what I usually shop for at Target. I will usually pick up make up and hair care products from Target. I buy kitchen items at Target! I usually shop for health and beauty items at Target..and pet items too. I usually shop for clothes and shoes! I usually buy my son's clothes at Target. I shop for almost everything at Target, there are some food items and pet supplies I get elsewhere but Target is my go-to store. I love finding great deals on clearance in every department. I shop for home decor at Target. I usually shop for clothes or appliances. I liek to shop for my daughters clothes and other accessories .. I shop for almost everythign at Target! I have been shopping at Target since I was a kid. I shop for gifts and greeting cards especially. They have some of the funniest ones there that my friends love. I also get groceries. I shop for home decor, bed linens, food and more at Target. I like to shop their books, groceries, kitchen and housewares departments. I usually shop for clothing and seasonal items at my Target. I don't use their pharmacy because my local Walgreens is within walking distance and is open 24/7. We shop for everything at out Target now that they added the grocery section. I usually shop the clothing, home goods, and toys at Target. I usually shop at target for body wash , laundry soap, toilet paper, and clothes, Thank you! I usually shop for groceries (milk, water, bread, fruit) and toiletries (shampoo, toothpaste). I like their home decor and pet supplies. I shop for groceries and household supplies. I usually shop for clothing and shoes at Target. Thanks. I shop for food and beauty products at Target. Thank you for the chance! I shop for clothes and shoes for my children. I also really like their home goods. I shop for clothing, home décor, and cleaning products mostly. I like to shop at Target for school/office supplies and my pets food/treats. Also cleaning supplies. I go to Target for shampoo and conditioner. Also for some home decor items. I shop for clothes, shoes, cleaning items, diapers, etc. Kids clothes for the kiddo and they have a great price on things like Smart Ones and Lean Cuisine products. Target is great for grabbing dinner and anything else I need in a hurry. One category that I usually shop for at Target is boys clothing and shoes. They have a great selection at reasonable prices. i usually buy clothes or groceries and thats about it! I shop Target for allergy medications. They have the best prices in town! I like their snack selection! I like to browse the clearance before stocking up on groceries! I always stock up on my paper product at target when they are on sale. I get baby items, groceries, and clothes. I usually shop for food at Target. I usually shop for home decor, clothes and shoes at Target. I usually shop for groceries, paper goods, laundry detergent and clothing. I usually buy my cosmetics and body care at target. I always buy my beauty & household items at Target. Health and beauty products are my go to Target items. I usually shop for cleaning products and tshirts for the hubby. I shop Target for clothes and household items. I love shopping for baby clothes and makeup at Target. I get groceries and beauty products at target. I buy clothes, food, and household items at Target. I always buy things with coupons at target, whatever is on sale that week. It makes everything so much cheaper! I shop for everything at Target! I love Target. I often shop there for groceries, clothes, cleaning supplies, school supplies, and DVDs. I pretty much do a lot of my shopping at Target. I buy food, clothes, toys and household items & also pet food & beauty items also. I shop at Target for just about anything. Thanks for the contest. I usually shop for clearance items at Target, love the discounts! I usually shop for birthday presents and electronics. I usually shop Target for small appliances, dinnerware, household cleaning supplies and office supplies. There isn't a Target where I live so when we go to Lubbock, I will get things that Wal-Mart was out of. I usually shop for shoes and clothes for my son at target. And I love shopping the dollar bins at Target!